Jaco Beach is no longer a sleepy surf town. 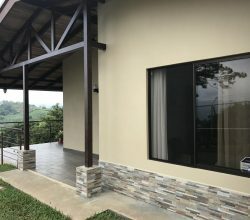 The metro area of Jaco has grown and with it businesses have been catering to the increase in tourism from both international and national travelers. 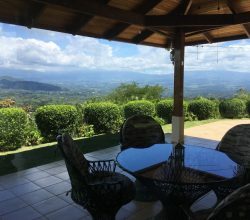 If hanging around the pool drinking exotic drinks is too boring for you, here is a list of things to do in Jaco Costa Rica. 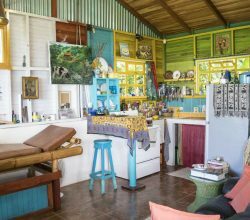 With its warm weather and calming scenery, the Jaco area features a number of amazing places for Yoga. One of our most suggested spots are directly on the beach as you soak in and listen to the oceanwaves. Yoga classes and instructors are located thoughout Jaco, Hermosa and Herradura. One of the best ways to take advantage of perfect weather is to polish the irons and take on the challenging par 72 at Los Suenos Marriott Golf Resort in Jaco. With beautifully kept fairways, semi-hard greens and stunning scenery, no trip to Jaco is complete for any golfer without a visit to these world-class links. 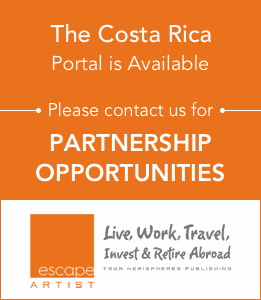 Jaco and surfing are practically synonymous in Costa Rica. With playa Hermosa close by, and great beach breaks on Jaco Beach as well, this has been a first-stop, beach-break wave destination from pros to amateurs alike. With loads of surf shops and surfer-friendly amenities, Jaco is a must-ride break in a country legendary for its surfing. The tradition of theater is alive and well in Costa Rica! The famous Little Theater Group, started in 1949, is the longest running English language theater company in Central America and now does regular shows catering to the expat population in Jaco. In addition, there is a 4 screen digital movie theater bringing the latest Hollywood blockbusters to the beach. They are open 7 nights a week and usually have at least one movie for kids. Costa Rica is known for attracting those with a sense of adventure, and perhaps a taste for danger. Bungee jumping in Jaco caters well to this crowd with both “extreme machine Pacific bungee” options in Jaco and day trips out of town to bridge rigs. If you’re looking to take that plunge, Jaco is a great launching point. Eating out in Jaco is often a popular conversation topic amongst residents and tourists. Why? Because Jaco boasts some of the best local and international cuisine in Costa Rica. With a strong expat population and constant influx or international travelers, this town can afford nothing short of remarkable food and service. From local dishes, to mouth-watering seafood, to American style restaurants, there is a rainbow of choices morning, noon, and night for you and/or your family to enjoy. A quick trip south from Jaco down a well-maintained highway takes you to one of the most pristine beaches and incredible national parks in the world – Manuel Antonio. 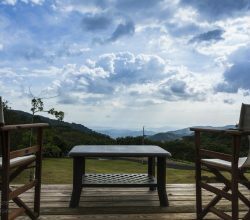 Known for displaying the archetypical natural beauty offered to beach, animal, and jungle seekers by Costa Rica, this 4000 acre national reserve simply must be on your list of destinations. With the nearby shops, hotels, and restaurants, this makes a great weekend getaway for those wishing to experience nearly all of Costa Rica’s natural wonders at once. One locale trail seekers should make a trip to is Miro Mountain, Jaco. With miles of lush, untouched wilderness hugging challenging trails, this hike is one of several in the area that reward you with stellar views and a chance to enjoy a day closer to nature yet not far from the comfort of your hotel or home. Canopy tours in Costa Rica are among some of the best in the world. Jaco is no exception. 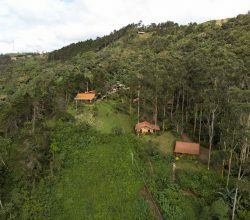 Driving into town you will see dozens of signs and billboards offering these tours to experience the jungle and nature from above. Eye level with scarlet macaws, howler monkeys, and more, visitors to the canopy get a unique perspective on how incredibly beautiful and diverse Jaco’s surroundings truly are. It’s tough to imagine a better way to soak up the pleasures of paradise than gently gliding across the ocean with the ease and soothing rhythm of a paddleboat. Whether you wish to spend a half hour or a half day, paddleboat rentals are a healthy, eco-friendly way to get out on the water and enjoy some time with a friend or loved one. If you’re coming into Jaco via San Jose, you will most certainly stop on a bridge spanning the Tarcoles river. That may be your first experience with the giant crocodiles that inhabit the shallow rivers of Costa Rica. Some measuring as long as 17 feet, these monsters can be safely viewed via guided boat tours easily arranged by tour companies in Jaco. Jaco is very conveniently located near to Manuel Antonio and Carara National Parks. There are over 400 lowland species of birds to be found here, which is a major attraction for birdwatchers world-wide looking to traverse trails, marshes, and jungle to spot some of the most resplendent animals of unique song and feather.